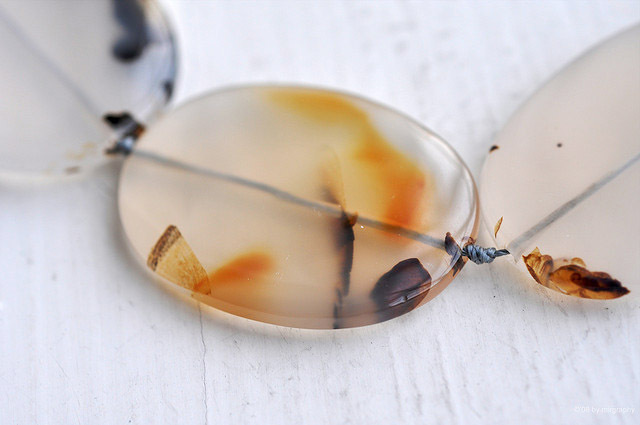 Montana moss agate beads; photo by mirvettium on Flickr (noncommercial use permitted with attribution / no derivative works). Agates are found in southern and eastern Montana (agate is found in abundance along the Yellowstone River). Agate is polished (not cut) to make gemstones and jewelry. 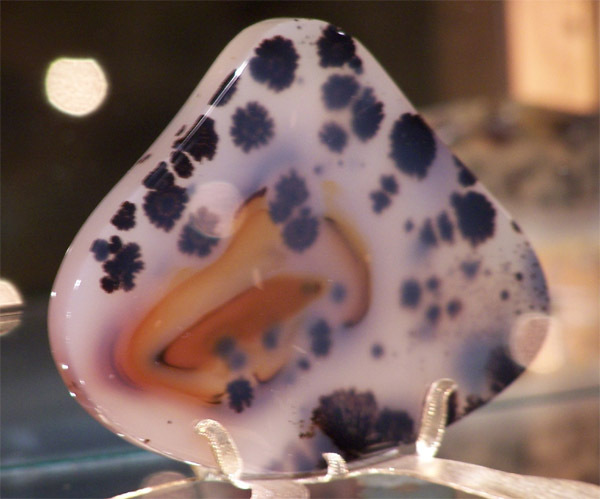 Agates are usually white with swirls of grey and black spots. The Montana Council of Rock and Mineral Clubs asked the legislature to declare both the sapphire and Montana agate as Montana’s official state gemstones. Montana moss agate; photo by Brooks Britt on Wikipedia (public domain image). 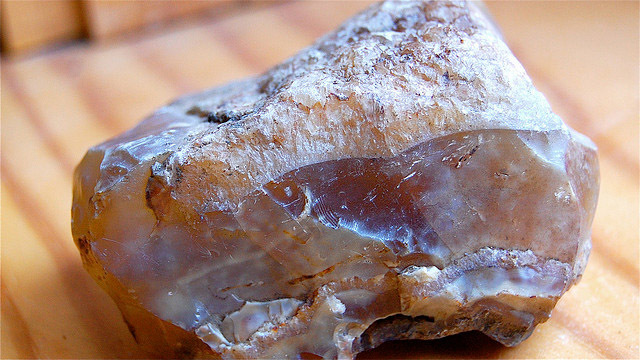 Raw Montana agate (unpolished); photo by picbot on Flickr (use permitted with attribution / share alike).